In many regions of the world, power is generated from thermal springs. 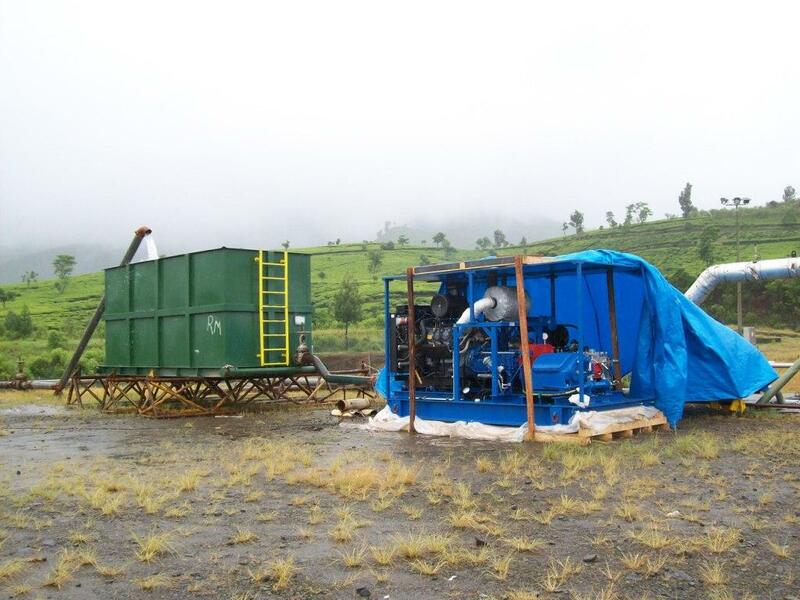 For this generation geothermal energy is used in order to produce water vapour and e.g. for electrical power generation. However, valves and pipelines need to be maintained in certain intervals, but that can only be done in cold and pressure less condition. For this purpose the spring has to be tranquilized (killed). To decrease high temperature and the very high pressure of the spring, you need to bring in cold water. This is affected in several steps where pressure and quantity of the introduced water have to be attuned to the current pressures and temperatures of the spring. At the beginning you work with high pressure and little water. For example you start with 120 bar and 150 liters. Pressure drops and water quantity will increase after a certain cooling time. This process can last one day or longer. At the end, there is only a pressure of 2 – 3 bar and a water quantity of approx. 1500 liters. When reaching these parameters, the UHP pump unit can be stop and a centrifugal pump is sufficient for cooling the spring. 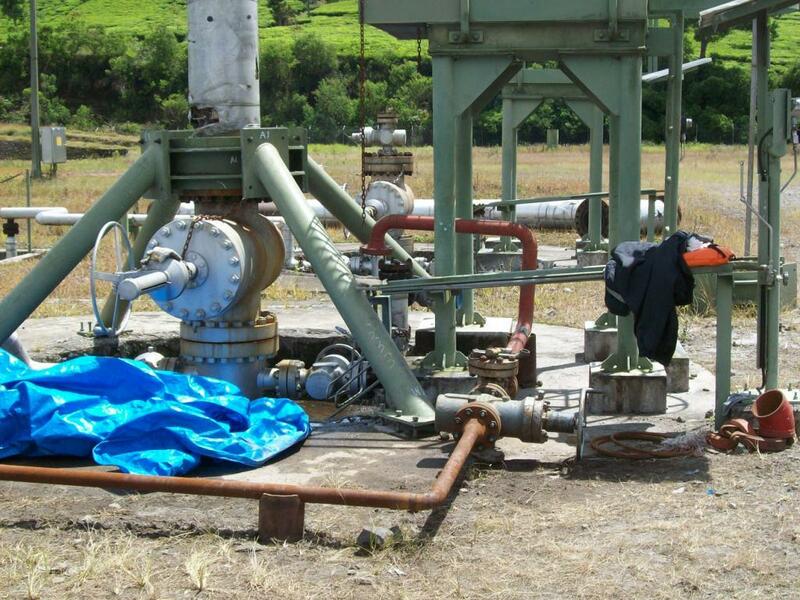 For maintenance purposes valves, safety valves and pipelines can now removed. Of course there is already such kind of system, but it is operated with an engine and a multilevel gearbox. However, this unit is quite more labor-intensive for the operator, needs more maintenance and it takes 10 – 20 seconds when switching to the next level. During this time, temperature and pressure increase again. The relatively large engine is the second disadvantage, but it needs to be chosen large since water quantity and pressure are controlled via engine speed. At lower rotational-speed ranges a smaller engine would not have enough power to work as well as the torque to change in higher rotational speed. The newly developed pump unit will be electronically controlled via intelligent software. It will not be driven mechanically any longer but via a hydraulic drive. 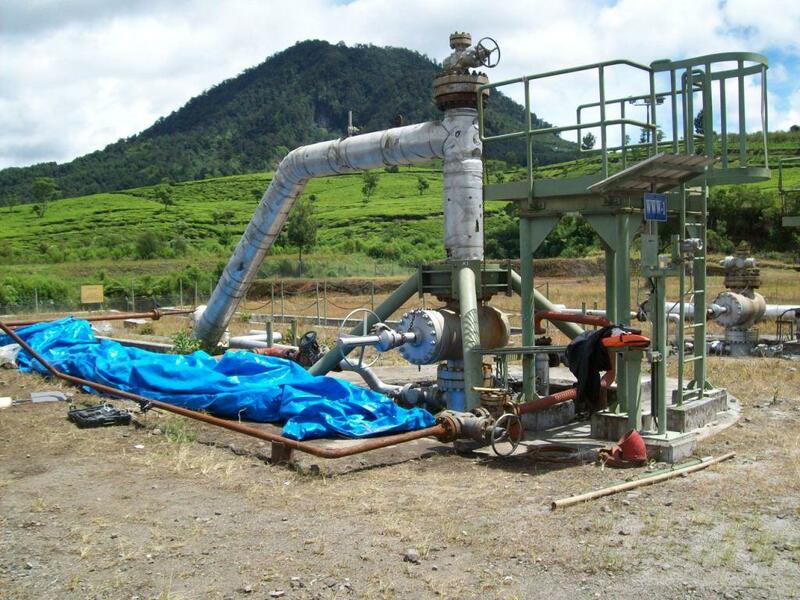 On the one hand, you can run all pressures and water quantities step less without interrupting the process and running the risk of going one level back because of increasing of the pressure too much in the meantime. On the other hand you can use a smaller engine. Since we operate with a hydraulic drive, the engine runs in a fuel efficient rotational-speed range. 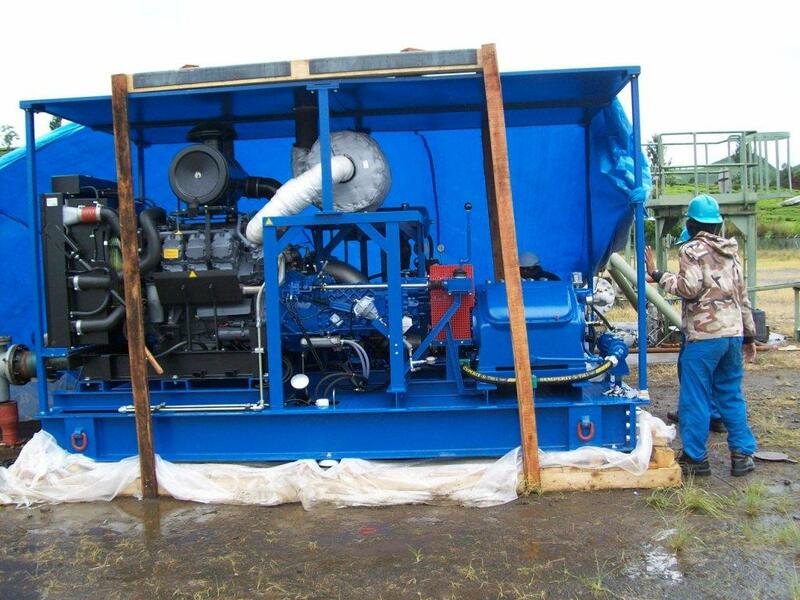 The different rotational speed at the water pump will be controlled due to a hydraulic variable displacement pump and a hydraulic variable displacement engine. Thus, the unit can be built smaller, lighter and more compact. Furthermore, you save fuel since the smaller engine runs always at reasonable ranges. The pump assembly. Left to right : engine – clutch - gearbox – clutch – pump it is the old system. The new is powered by hydraulic. The red pipe is coming from the power package. To stop the steam: 1. close the big valve and 2. open the small from the HP pump and press cold water in the well.